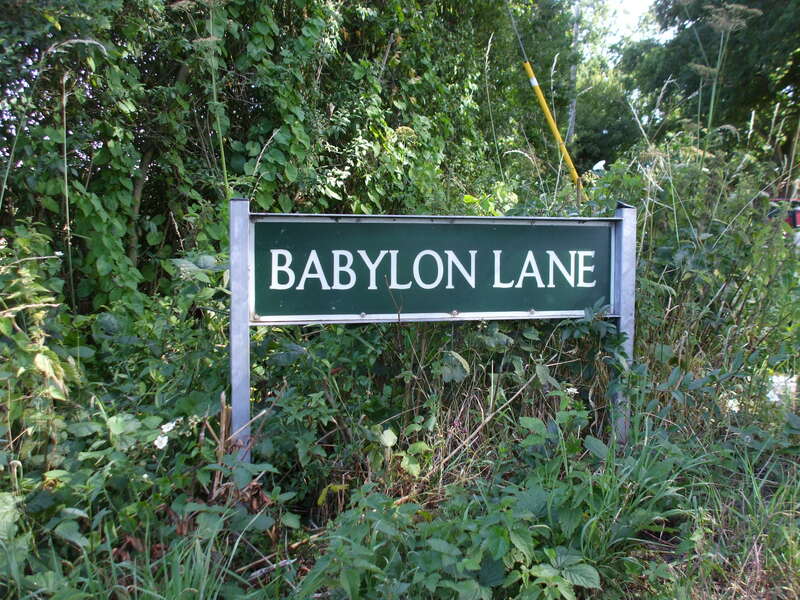 abylon Lane was a group of shapenote singers which was founded in 1997 by Steve Fletcher and Sheila Girling Macadam. Babylon Lane called it a day as a performing group after Sidmouth Folk Week 2014, but their members can still be found on the folk circuit and elsewhere. Sheila, Edwin and Tony will be leading a shapenote workshop at Warwick Folk Festival 2016 on 24 July, and Steve, Richard and Toby will be back at Sidmouth Folk Week 2016 as Canaan's Land. Tony Singleton and the addition of Nick Hall, Rachel Jordan and Toby Goss. They led shapenote workshops at British folk festivals from 2007, including a regular slot at Sidmouth Folk Week and appearances at the Warwick and Teignmouth Folk Festivals. They were back again for Sidmouth 2014 from Saturday 2 August, and some of the group led a workshop at Warwick on Sunday 27 July. Members of the group have been singing shapenote music for more than 20 years, both in the UK and in the USA. 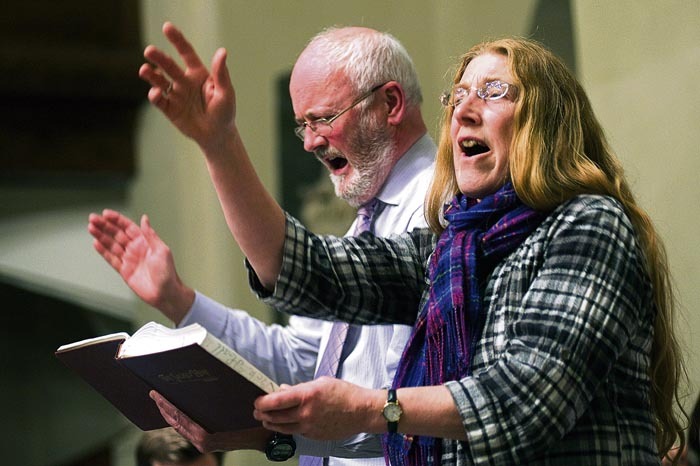 Steve and Sheila have both taught singing schools in the UK, and Edwin and Tony also lead West Gallery quires in Warwickshire (Immanuel's Ground), and Kent (The Marsh Warblers) respectively. Ken Baddley and Lin Cawthorne joined the group for some performances in previous years, and Richard Percival joined in 2013. Rachel Jordan leads a West Gallery quire in Sussex (Sussex Harmony), of which Nick Hall is also a member and Toby Goss is a member of Oxford's Christminster Singers. All the singers belong to the West Gallery Music Association. 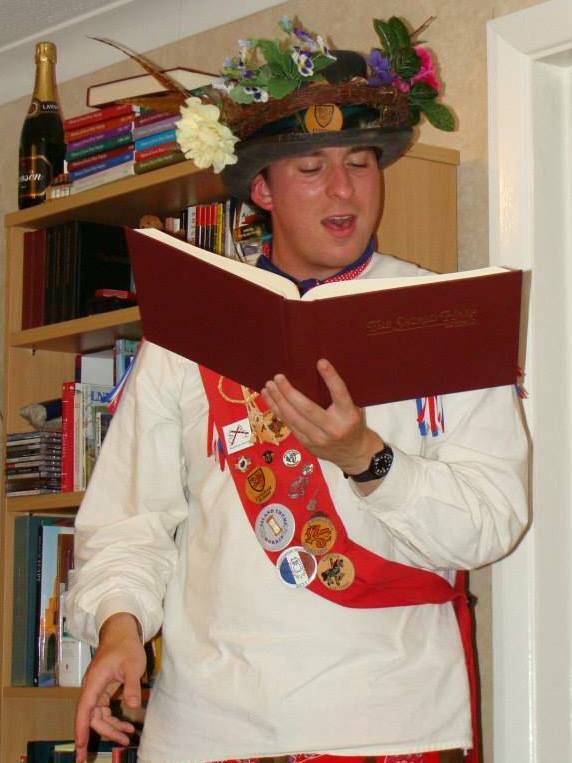 For further information on shapenote singing in the UK as a whole please visit the UK Shapenote website, and for singing in the Oxford area in particular visit the Oxford website, or e-mail.